Matt was converted to Christ, discipled and commissioned as a missionary with the Calvary Chapel movement. He has been a student at Vanguard University in Costa Mesa, CA; received a “Foundations in Biblical Counseling Certificate” from the CCEF School of Biblical Counseling in Glenside, PA; and graduated from Oak Hill College in London, UK, where he received a Bachelor’s Degree (with honors) in “Theology, Specializing in Pastoral Studies,” a degree that is nearly equivalent to a Master of Theology degree in USA seminaries. Through the influence of his education, individual study, ministry and experience, Matt has grown considerably in his understanding of theology and ministry and, without reservation, agrees with the Statements of Faith of Solid Rock Christian Fellowship and the Southwest Church Connection (formerly known as the Southwest Conservative Baptist Association). 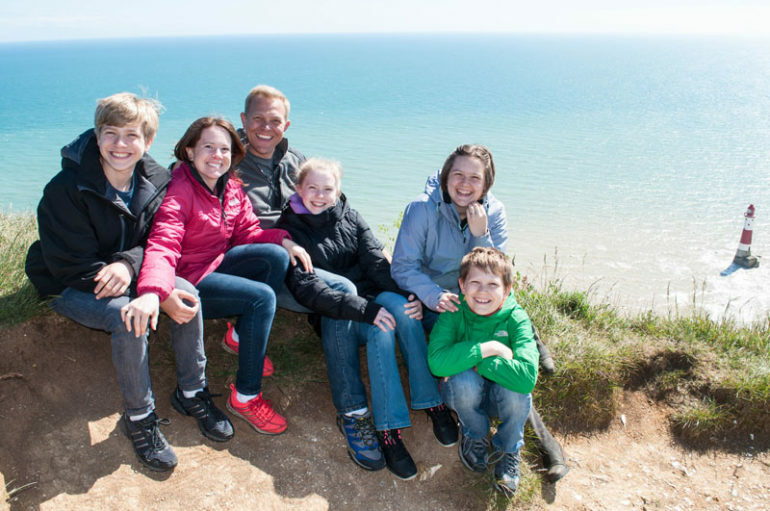 In addition to successfully planting a healthy church in a suburb of London, Matt and Dianna have spoken at numerous events, conferences and retreats throughout much of Europe. His church planting mindset is well balanced with his appreciation of church tradition and heritage. Matt and Dianna are happily married and are blessed with four children: Karissa (15), Bethany (14), Josiah (12) and Isaiah (10).